In the world of SaaS, relationships is one of the pillars that business value rests on. While there are several elements that need be considered for ISVs and software vendors that want to adopt the SaaS business model, partnering with the right hosting provider is one of the most important. Your hosting provider takes care of the infrastructure side of things so that you can focus on your core business – and together you ensure you’re able to deliver the quality of service that your customers expect, something we cover in another one of our blogs: Road to SaaS – ensuring quality of service. Essentially, quality of service ties back to business value, so choosing the right provider in the first place is key. This opens up the age-old debate of cost versus value – only now, this affects your business value, too. Choosing the cheapest option may have benefits in the short term but may not be the best option in terms of scalability and performance further down the line. If you are locked in or your provide can’t evolve with you through growth and change, then it damages your business value, which in turn leads to lost customers. Look at your service as it stands today. Consider and define your value add elements and how you’re positioned in the market. As a software vendor, how do you differentiate yourself? How is your application different? What are your performance gains over your competition? Can you differentiate when it comes to security, flexibility and the ability to dynamically change the service according to customer requests? 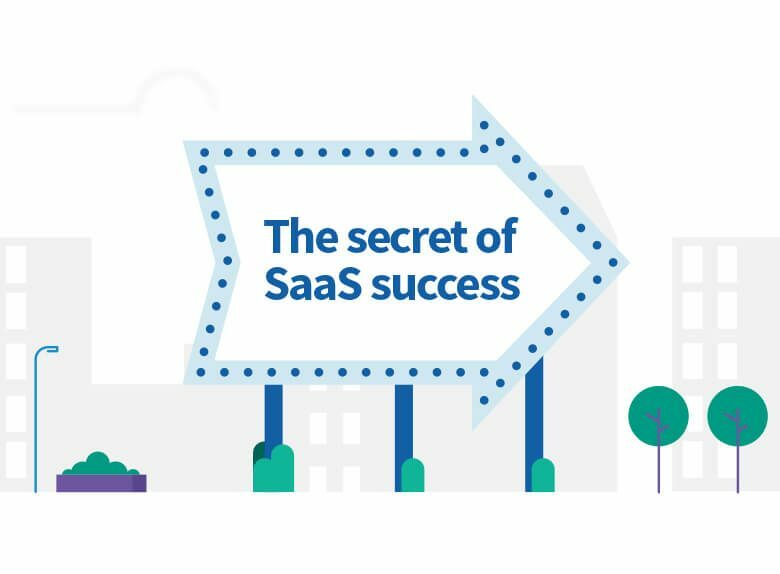 Taking all of this into consideration, your infrastructure provider will need to support you as you take this all across to your offering as a SaaS provider. As you make the required changes to your software, your hosting provider can help test those elements with you and report back on performance, ensuring that you are delivering the levels of security and availability that your customers need. Another part of growing your business value is in entering new markets or verticals, for which your go-to-market strategy and application will also need to change. Your product needs to be fit for purpose, whether that means scaling it up or down, or proving to customers that it meets specific requirements vital to their industry, such as security, compliance or data privacy for financial services. Ultimately you’ll need to adapt your software and underlying infrastructure model to accommodate these new areas, along with getting the right service wrap, scale and commercial model to fit the style of customer you’re addressing. Increasing your business value by moving to SaaS can be challenging. And getting it right and capitalising on the opportunities it brings comes down to your software offering, underlying infrastructure and, of course, your business partners.